The trestle plaques are being revived! 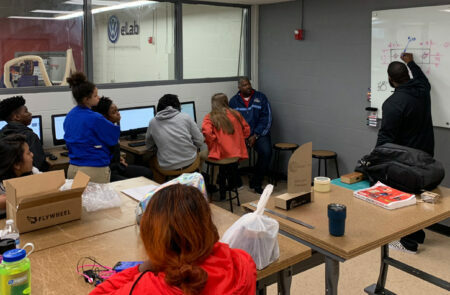 And this time, the Interns are making them with the Volkswagen eLab that was opened at The Howard School in August 2017. “In January, 2017, Volkswagen Group of America, Chattanooga Operations (Volkswagen Chattanooga) and the State of Tennessee announced the establishment of a $1 million program that allowed Hamilton County TN middle and high schools to apply for funds to establish a digital fabrication lab for their students. Some of the Interns have been in the class already, or extracurricular clubs that use the eLabs. For others, they got their first hand at the computers and tools while making the trestle plaques for the Guild Trail bridges. 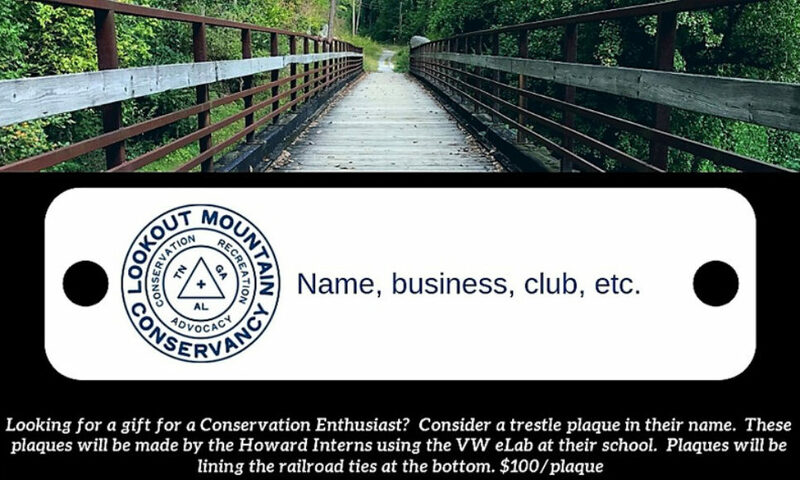 If you’re interested in being a part of the trestle campaign, you can find details for gifting a trestle plaque here. Your $100 donation not only goes towards conservation and the Intern program, but also towards helping them to solidify a new skill in the emergent technologies.